Chinese President Xi Jinping announced one of China’s most ambitious foreign policy and economic initiatives at the end of 2013. He called for the building of a Silk Road Economic Belt and a 21st Century Maritime Silk Road, collectively referred to as One Belt One Road (OBOR). One Belt One Road (OBOR) is arguably one of the largest development plans in modern history. But is this initiative a merely economic one or geostrategic step by China? Will India get benefit by joining this initiative or not? Let us discuss this initiative in detail. 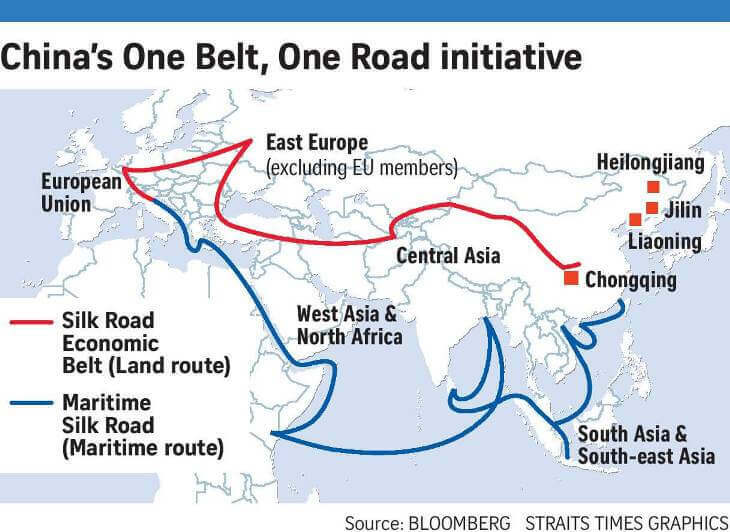 What is “One Belt, One Road” or OBOR? 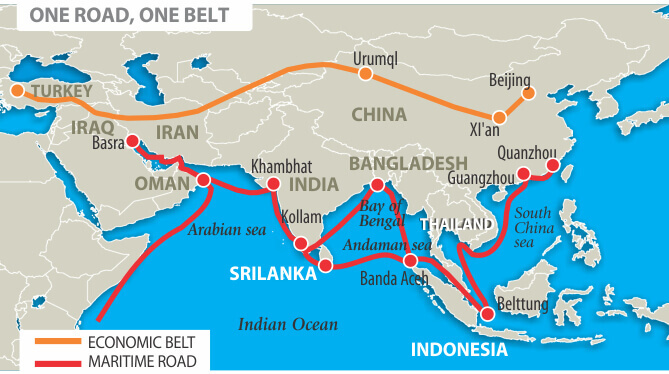 Belt– The “One Belt” refers to the land-based “Silk Road Economic Belt”. Here Beijing aims to connect the country’s underdeveloped hinterland to Europe through Central Asia. 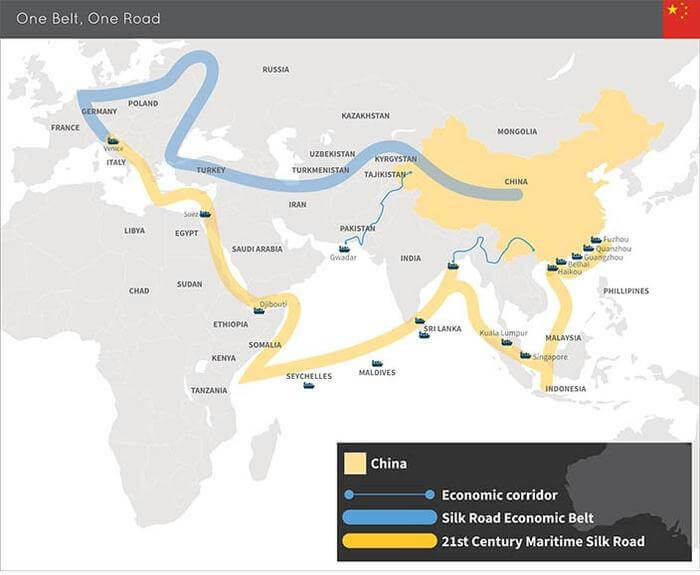 Road – The “One Road” references the ocean-going “Maritime Silk Road”. It is to connect the fast-growing South East Asian region to China’s southern provinces through ports and railways. The plan is to connect the Pacific Ocean and the Indian Ocean. This will connect Chinese coastline with SE Asia, South Asia, Gulf and East coast of Africa. China will build hard and soft maritime infrastructure. It will include custom co-ordination, the formation of SEZ, new ports, e-commerce, trade liberalisation and policy coordination. OBOR covers countries throughout the Asian continent from China to the rest of Eurasia. The geographical stretch makes it comparable with Silk Road or Silk Route, an ancient network of trade routes connecting the East and West around 120 BCE to 1450s CE that is famous for the profitable silk (and horses) trade. That is why it is also called as “New Silk Road” initiative. The OBOR strategy is often reported as China’s ambitious push to take a bigger role in global affairs and expand its friend circle. While China insists that the investment in OBOR is economically motivated and it will bring economic benefits to host countries but the project is multi-prolonged and is intended to serve diplomatic, economic and strategic purposes. It is also intended to address its domestic needs in economic transformation. The demand for industrial output will increase and thus will revitalise its economy. This project will build China’s soft power and some analysts call it a China’ Marshall Plan. This initiative will make Indo-Pacific region to be Sino-centric economic and security region. It is also an attempt to counter US propaganda that rising China is a threat to world peace. Thus it is to convince that rising China is not a threat rather creates a win-win situation for all. Maritime Silk Road, and especially Chinese infrastructure investment is implicitly intended to facilitate more frequent People’s Liberation Army Navy deployments in the Indian Ocean and beyond. The ‘Belt’ and ‘Road’ covers primarily Asia and Europe, encompassing around 60 countries. On China’s “One Belt, One Road” official website, it also says the initiative is open to all countries as well as international and regional organisations for cooperation. 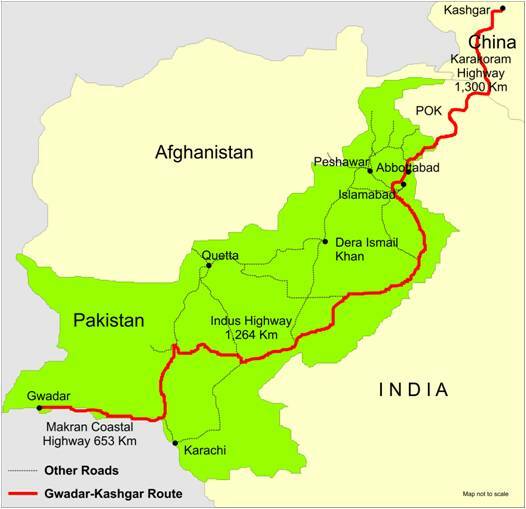 China-Pakistan Economic Corridor (CPEC) is expected to connect Kashgar in Xinjiang in China’s far west with the Port of Gwadar in the province of Baluchistan via a network of highways, railways, and pipelines. This project would allow China to transport energy resources such as petroleum from Middle Eastern countries to China via a land route through Pakistan. China signed 51 MoUs with Pakistan worth $46 billion as part of this project in April 2015. This corridor is an extension of China’s Silk Road initiative. This project will provide economic growth to Pakistan and will help in boosting infrastructure development with the help of China. Energy security is a key concern for China and oil pipelines through Pakistan would cut about 16,000 kilometers from the distance traveled by goods traded between China and the Middle East. China plans to build oil storage facilities and a refinery at Gwadar Port, with oil transported to its Xinjiang Uighur Autonomous Region via road and pipeline. This will let it move energy and goods to inland China without going through the Strait of Malacca, which could be blocked by US or India should hostilities break out in the region. This project will lead to development in Western China where tensions are simmering from activities by radical separatists due to closeness with Pakistan and Afghanistan. Ideally, this project would promote growth in Pakistan, weaken the extremists and encourage Pakistan army to support peace efforts in Afghanistan. Implications for India: CPEC will provide China strategic access to the Arabian Sea and enhance its presence in the region. It would enable China to wield much more powerful influence in the Indian Ocean. Once completed, CPEC project would mean that the Chinese presence in entire Pakistan including Pakistan Occupied Kashmir becomes all pervasive and powerful. The route of CPEC passes through POK and makes China an indirect stakeholder in Kashmir conflict between India and Pakistan. India is opposed to Chinese One Belt One Road (OBOR) initiative since the China-Pakistan Economic Corridor (CPEC) passes through the Indian territory. Indian government stated that the connectivity cannot undermine the sovereignty of other nations. India has also refused to attend the 1st Belt and Road Summit which is going to happen in China in May 2017. Should India join One Belt One Road? Trade: The OBOR project will open more links of trade between India and other countries. Further, India does not enjoy much leverage to guide ocean trade markets despite having proximity to the sea and a strong navy. Through OBOR project India will get access to more business in an environment which promote friendly reforms. Regardless of economic interests, India cannot ignore the symbolic significance as it was along the Silk Route that Indian trade and philosophy (Buddhism) traveled to the rest of Asia. Thus China may gain cultural hegemony in the region which may prove counter-productive to India. Under Maritime Silk Route (MSR) China is developing ports in Bangladesh, Sri Lanka, and Pakistan and is trying to enlarge its influence using its economic might in the Bay of Bengal and the Arabian Sea. Thus MSR is nothing but an economic disguise to the “Strings of Pearls” Theory. China is investing a huge amount of money in India’s immediate neighbourhood and these countries tend to use the China card against India. OBOR seems to be primarily driven by broad geostrategic and geopolitical aim. For Example, China-Pakistan Economic Corridor gives de facto legitimization to Pakistan’s rights in Pakistan Occupied Kashmir which is against India’s interests. Since this port is closer to the Persian Gulf, it could be used as a transshipment point for China’s energy supplies obviating the needs to go through the Strait of Malacca in South East Asia. Apart from serving as a commercial port, Gwadar is also deep enough to accommodate submarines and aircraft carriers. Thus it may be used as a military port by People Liberation Army Navy in future. What should India do to counter One Belt One Road? India has already refused to join this initiative due to geostrategic and geopolitical angle attached to this project. Instead, India has started initiatives for connectivity on its own. Following are some of the steps taken by India. Project Mausam: It is soft power diplomacy by India. The project is under Ministry of Culture and its purpose is to reconnect and re-establish communication links between countries of Indian Ocean and enhancing their cultural values. SagarMala: It is a port led direct and indirect development with a focus on infrastructure and connectivity. The project is to enhance the capacity of major and non-major ports and also to start their modernization process. Chabahar Port: Chabahar’s location give India access, besides Iran, to Afghanistan, central Asia, and Europe, bypassing Pakistan altogether and cutting down significantly current travel distances and time. International North South Transport Corridor initiated by India, Russia, and Iran is another connectivity solution for India in Central Asia. Naval Ports: India is developing naval ports in Indian Ocean regions like at Madagascar, Seychelles, and Mauritius. 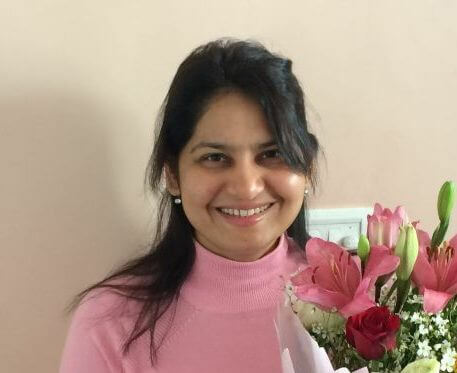 IORARC: India is involved in the Indian Ocean Rim Association grouping whose first summit took place in Jakarta in 2017. Alliances: Alliance of India with like-minded countries like Japan. Japan has agreed to promote India’s “Act East” policy by developing and strengthening reliable, sustainable and resilient infra that augments connectivity within India and between India and other countries in the region aimed at advancing Asian industrial networks and regional value chains with open, fair and transparent business environment in the region. Japan and India can build rail and road connectivity across the Eurasian landmass running parallel to OBOR. Theoretically, if India’s political and strategic concerns are met, the initiative could be seen as viable, particularly given that many of the projects envisaged under the BCIM (Bangladesh China India Myanmar) corridor and the Asian Highway project would dovetail into OBOR. Already all of India’s neighbours (with the exception of Bhutan) are a part of it, and India too is keen to increase connectivity with them. However, tense bilateral relations with China, deep mistrusts and India’s growing concerns over Chinese hegemonic intentions in South Asia and Indo-Pacific region make it practically unlikely that India will ever consider joining this project. OBOR is not a strategic vision for Eurasia that features a military and security footprint, at least not as it is initially conceived. Increased Chinese investment to its west has led to the use of private security contractors to protect Chinese projects and has encouraged greater operations and visits to the region by the People’s Liberation Army Navy (PLAN), but China does not have the desire or capability in the near term to become a security provider in Eurasia. China has avoided, by and large, becoming entangled in regional conflicts and, when engaging in a conflict environment, prefers to avoid taking sides in favor of facilitating some type of political dialogue between competing actors.China’s increased orientation to its west may one day reach a level where security concerns become an essential factor motivating Chinese policy, but OBOR was not designed to include security operations, and China will do what it can to avoid such concerns becoming central. OBOR seeks to thread the needle of becoming more involved in regional affairs while remaining removed from regional disputes. I want to write for your website. 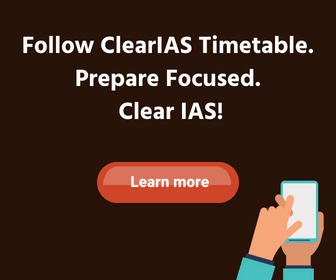 Can anyone give an account, how to start for UPSC as a fresher without coaching. I THINK, IF INDIA JOIN IN OBOR. IT IS NOT GOOD FOR INDIA’S FUTURE. BECAUSE IT IS CHINA’S DOMINATED PROJECT. IN ANOTHER SIDE, INDIA CAN’T BELIEVE ON CHINESE GOVT. STAND; IF INDIA DEPEND ON IT & SPADE IT’S FINANCIAL HAND BY IT, ONE DAY MAY BE CHINA CAN PRESSURE ON US & THIS IS NOT GOOD FOR INDIA’S FINANCIAL SECURITY & NATIONAL INTEREST. MY, ADVICE TO THE GOVT IS DON’T JOIN IN OBOR. IF WE WANT A GREAT FUTURE & WANT TO DOMINATE ASIA WE MUST MAKE A STRONG COUNTER OBOR POLICY WITH ANT-CHINES COUNTRY. MODI’s “FREEDOM CORRIDOR” IS A GOOD PLAN FOR IT. JAI HIND…. DON’T BELIEVE ON CHINA………….JAI HIND.